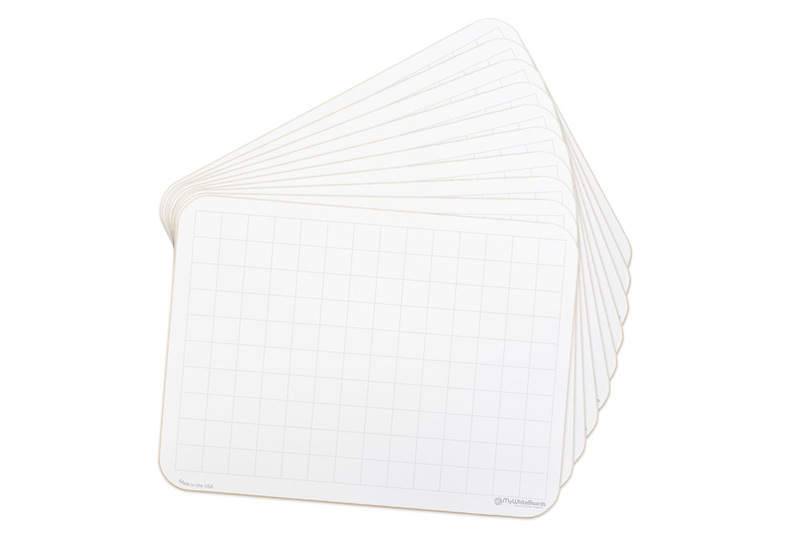 Double Sided Individual Student lap boards from OptiMA Graphics. One side is printed and the other side is blank. 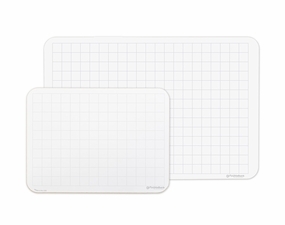 Select from a 9" x 12" or a larger 12" x 18" student lap board. 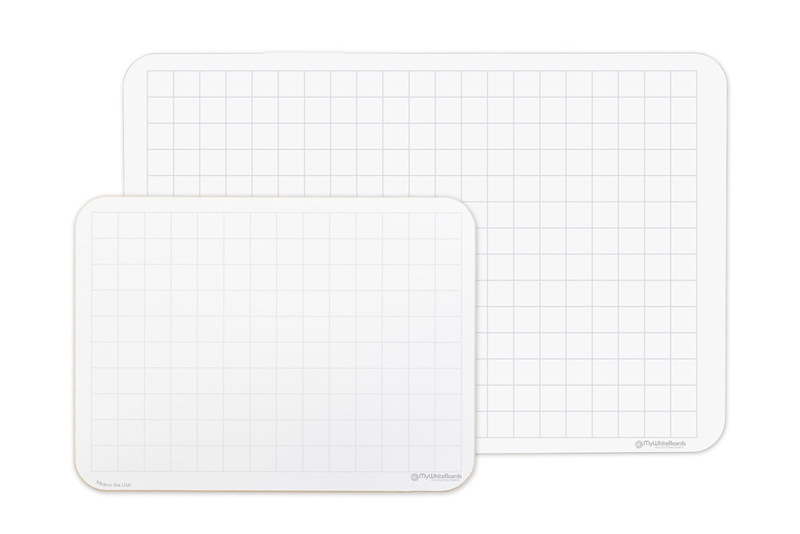 Both sizes are 1/8" thick and come with a simple light gray 3/4" grid pattern on one side and the boards are plain white on the reverse side. 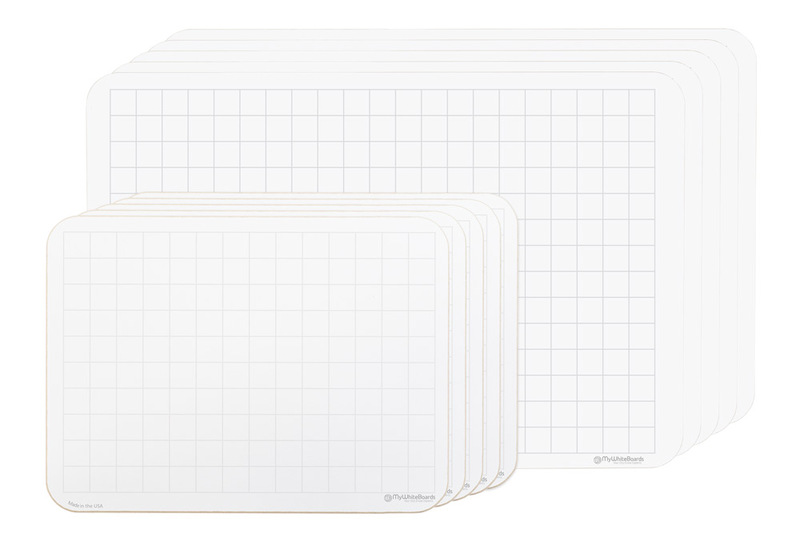 OptiMA ghost grid lap boards are created with the Opti-Print method so the image is permanently protected with a clear dry erase writing surface for years of trouble free use. 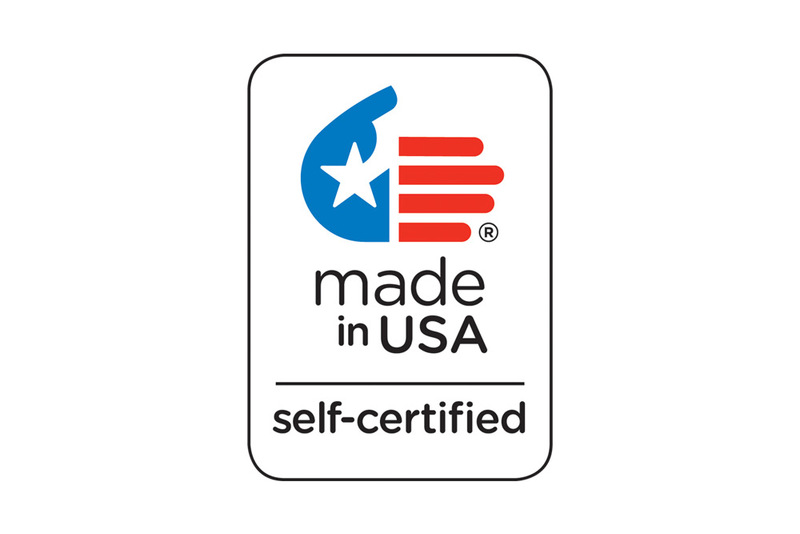 All of our lap boards are made in the U.S.A. and printed in our own factory in Massachusetts. School purchase orders gladly accepted. Actual Size: 8 15/16" x 11 13/16"
Gray Grid is Roughly 3/4" x 3/4"
Actual Size: 11 13/16" x 17 7/8"
Do not use any cleaning chemicals which contain ammonia. Most glass cleaners contain ammonia.